The Circadian Optics Lumos 2.0 is the second iteration of this popular model which builds on the success and design of its forerunner and improves on many aspects of the original model. Its unique design means there really is nothing else like it on the market. This lamp is extremely poseable. It has a small footprint and can be wall-mounted, so it takes up very little room on whatever surface you choose. The design is also a very nice aspect – this lamp doesn’t look like it belongs in a hospital at all. Many people have found this lamp tremendously effective for treating their seasonal affective disorder, even after using other, larger lamps. 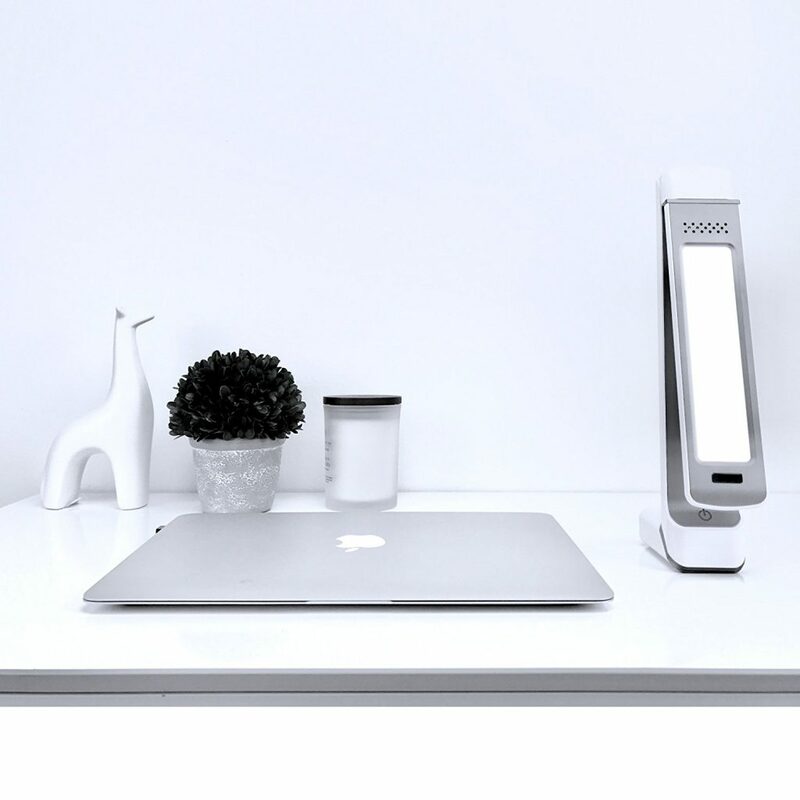 Functional, configurable, and nice to look at, this lamp is a must-have no matter your level of experience with light therapy devices. 2019 MODEL UPGRADES | IMPROVED ADAPTER PLUG-IN – A shorter, larger plug-in pin results in a tighter fit with lamp. MORE EFFICIENT LEDS – Less heat production and a cooler running lamp. (Released Jan 2019). 50,000 HOUR BULB LIFESPAN, 2 YEAR WARRANTY | LEDs last approximately 50,000 hours, much longer than fluorescent bulbs, meaning no replacing expensive bulbs ever again. Warranty covers lamp and adapter. 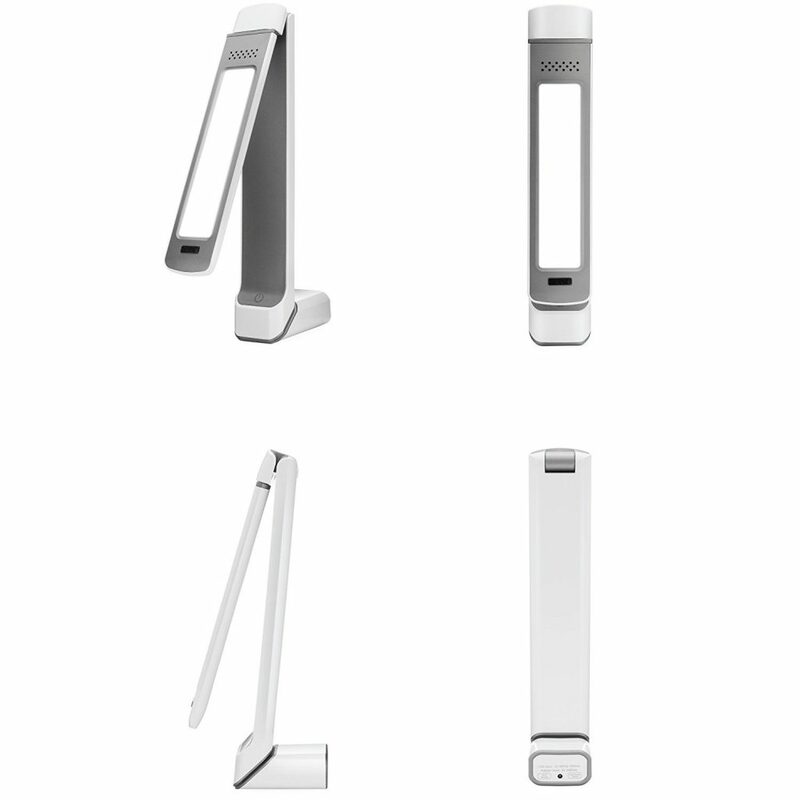 OUR BEST-SELLING, MOST ADJUSTABLE LAMP | 3 hinges and a rotating light panel gives this lamp excellent flexibility, allowing you to place, position and configure the lamp in a way that works best for you. 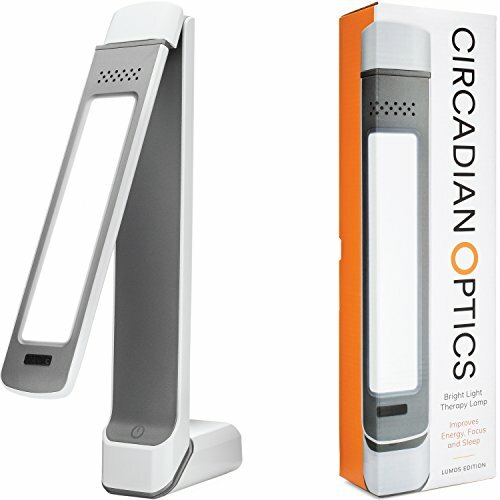 This product is made by Circadian Optics LLC. 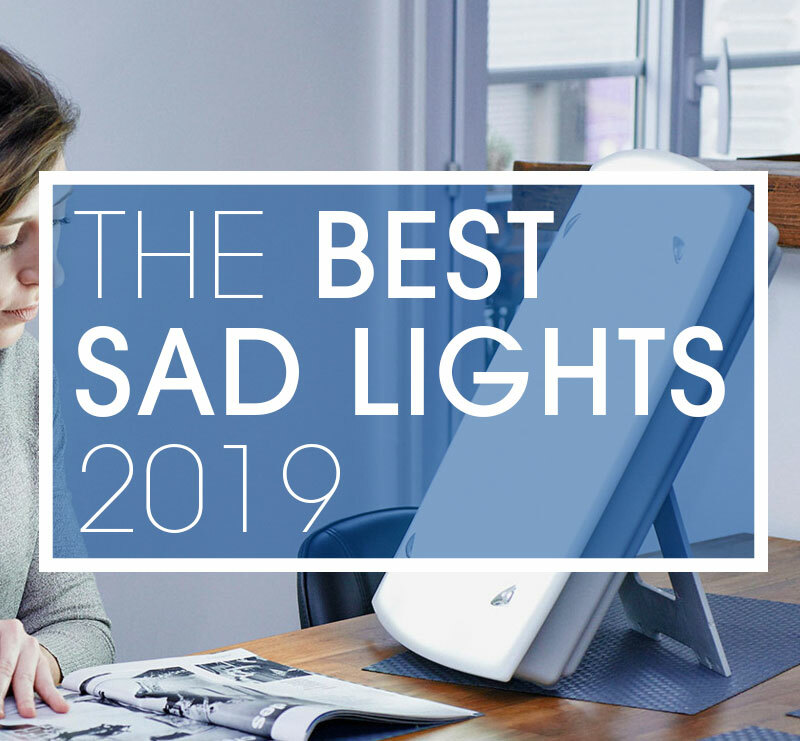 This Minnesota-based manufacturer specializes in SAD lights with small footprints, stylish designs, and functionality for busy lives. Other lamps from this manufacturer include the Lampu and the Lumine. The Lumos 2.0 is very slim. 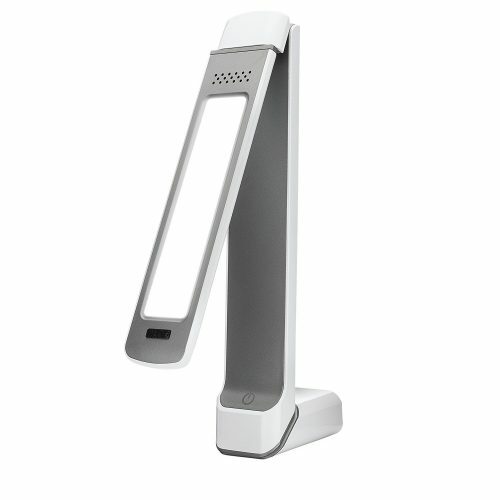 It looks very much like a reading or task light. 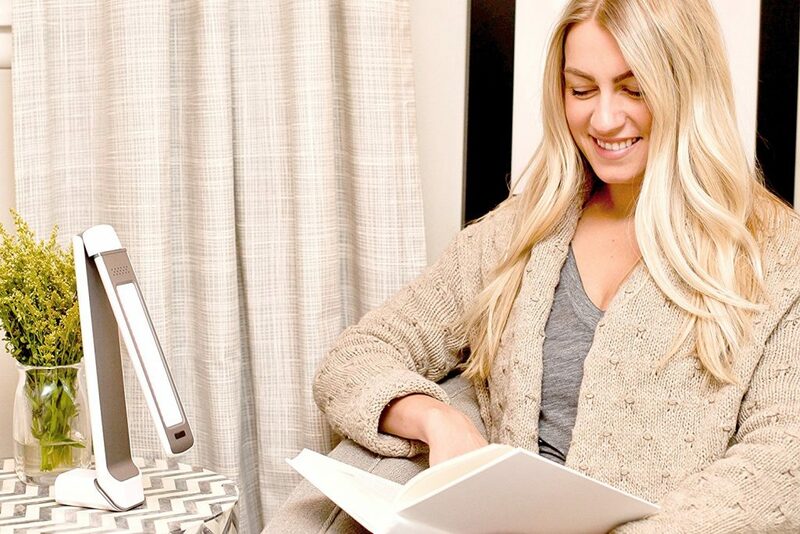 At first look, you really have no idea this is a light therapy lamp. 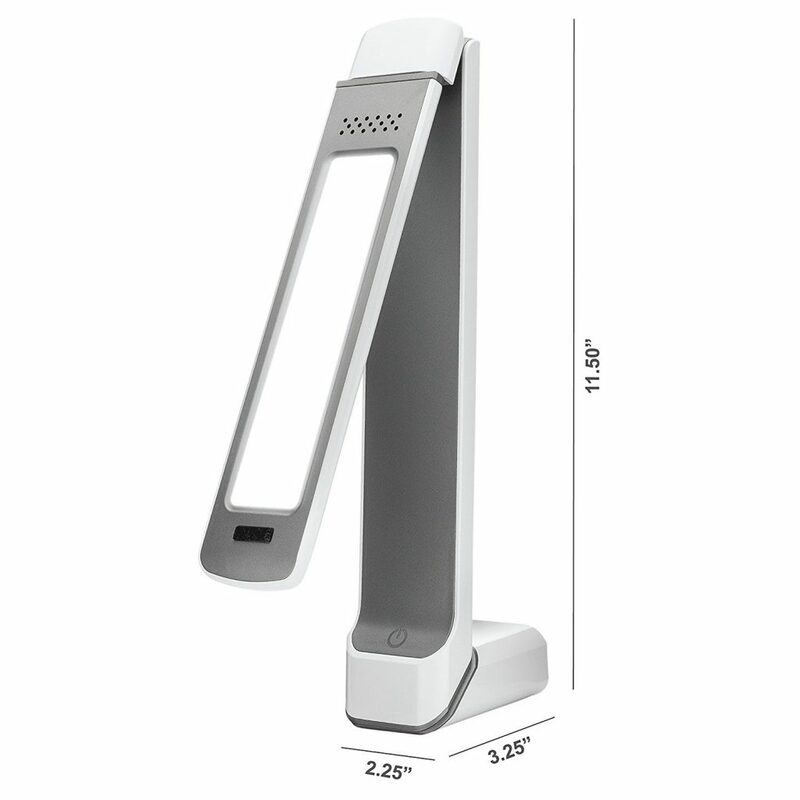 There is a small light panel with an array of 60 individual LED lights on an extendable arm. The lamp is available in both white and grey, and both colours are aesthetically pleasing. This lamp rates the highest in our test for Look and Design as it meets all the right criteria. Aesthetically it is very nice, it is small, lightweight and easy to use. Circadian Optics definitely makes good looking and well designed SAD lamps. The entire lamp is made of a quality plastic with a nice finish and is sturdy in most positions. There is a small hole on the back of the unit to make wall-hanging possible. Coming in at about 1.5 x 14 x 3.5 inches and 1.5 pounds, it is a lightweight lamp and one of the smallest SAD lights I’ve ever had experience with. 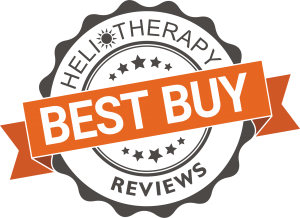 The manual that comes with the product informs on both this model and light-therapy basics. I found it informative and accurate. I was originally concerned with the smaller light panel on this lamp. The 60 LEDs packed into this smaller space are actually just as bright and effective as comparable lamps. Performance is an issue with most SAD lamps as they often advertise as being 10,000 Lux but rarely tell you that this is at an impractical distance. The Lumos 2.0 is no exception. The lower two brightness settings make this lamp functional as more than just a SAD lamp if that appeals to you. As I said before, this lamp looks like a reading light and at the lowest setting that seems to be the level of light it puts out. As is fairly standard with 10,000 Lux lamps, the highest brightness setting is the only one that actually puts out the promised quality. Circadian Optics recommends sitting 12 to 18 inches from the lamp during therapy sessions and never looking directly into it although for the full 10,000 lux you will need the lamp to be only 8″ away from your face. Because of this, it’s performance scores are in the middle of our test group, but don’t let this put you off. If you do not need one of the heavy duty SAD lamps, then this one will do the job just fine. The stand is unique and feels very user-friendly. It is very functional and adjusts to any position with ease. It allows you to position the light emitting face higher so the light can shine down into your eyes which is the recommended position for light therapy lamps. A small complaint we have is that the height of the unit makes it a little top heavy. I found that the lamp wants to fall over if the stand is not set just so. 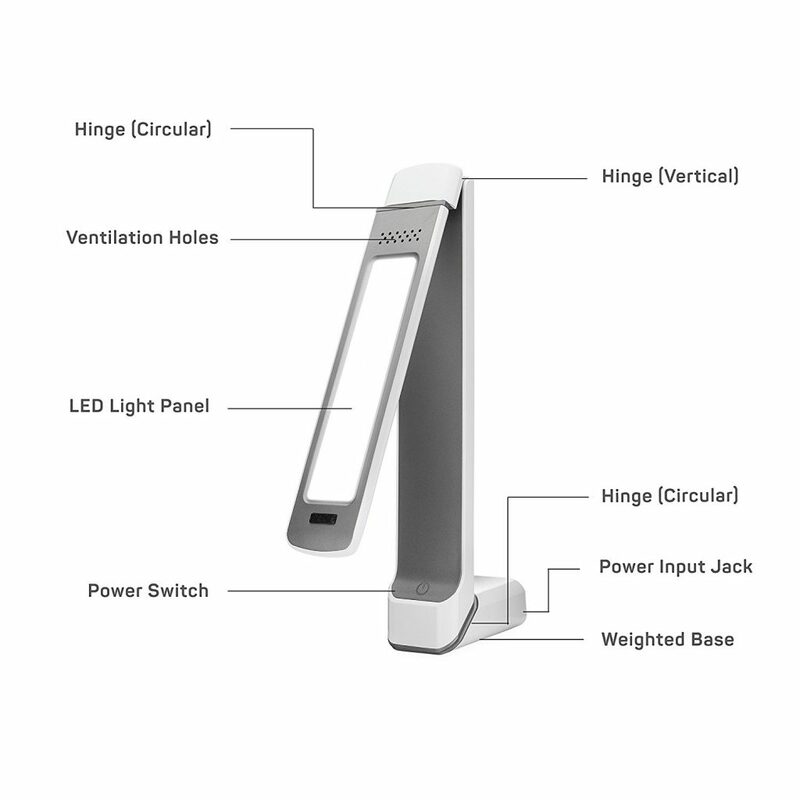 Having the unit mounted on the wall or as a stationary desk lamp eliminates this issue. For the quality of the light, it’s a minor issue. The Lumos 2.0 is a top scorer in our test with regards features. We place a large emphasis on how adjustable the stand is and this one certainly ticks all the right boxes. The lamp has several rotation points on the arm and on the base. Repositioning any part of the lamp is extremely easy. It adjusts to positions I would consider unnatural with ease and stays in the position you put it in without slipping or readjusting itself. Once the arm is extended and the base set, the lamp is stable, though a bit top-heavy. Like other lamps from Circadian Optics, this lamp is a Full-Spectrum, 5500 K lamp. The light is bright white on the highest setting and is very close to the mid-afternoon sun. With LED lamps, you never have to worry about changing a bulb, as the long lifespan is more than enough for extended use. I have to say that Circadian Optics excels at making lamps with pleasing design elements, and this lamp is no different. It isn’t a bulky medical-looking device at all. 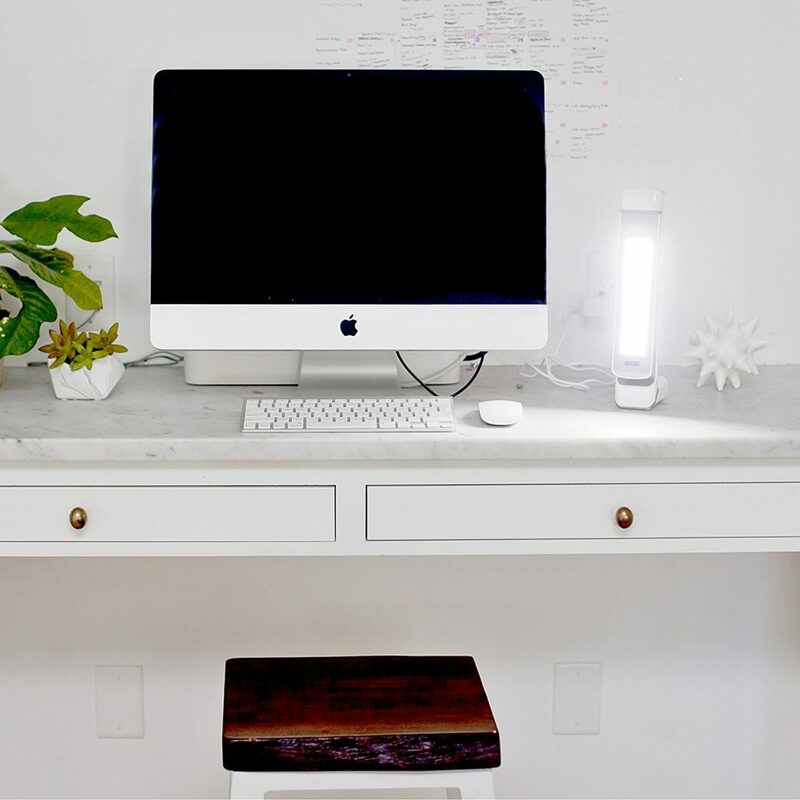 It looks much like a regular desk lamp and takes up so much less space than some other lamps on the market. 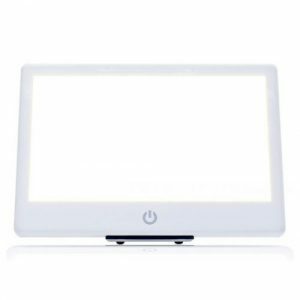 The diffusing panel on the LED array prevents the light from looking harsh or glaring. I wear glasses, so this soft white panel eliminates glare and allows me to continue to work while using the lamp. This lamp folds flat and compact, making it easy to store or pack for time away. Coupled with the size, this makes the lamp extremely portable even outside of your home. It will work on 110-240V, ideal if you want to take it travelling with you. The manufacturer’s website says that this model is rechargeable via USB, but the product I received was not. This might be a leftover description from the original Lumos lamp, as the lamp does not work if it isn’t plugged in. This is a small drawback, though it is worth noting. I assume this is because there are extra legalities when shipping products with batteries. Perhaps they have just removed it to avoid additional shipping costs or potential issues. 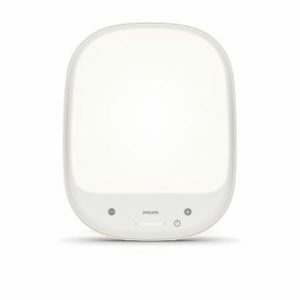 The Circadian Optics Lumos 2.0 is a unique SAD light on the market today due to its stylish design. It performs to a similar level to most other lights on the market. it is not ideal if you are looking for a light to treat serious SAD symptoms but it works for less serious cases. Its lack of a substantial warranty is also an issue. The one year warranty seems to be fairly standard but we like a company to show trust in their products. Only a few other models such as the Aurora LightPad Mini and the North Star 10,000 (both by Alaska Northern Lights) and the Day-Light and the Day-Light Sky (by Carex) offering better. It ranks highly for value for money as the price is very competitive for the number of features you get. The way you can position the light high or low is a great benefit. Its portability is a great plus and is a great option if you need to take a SAD lamp on your travels. 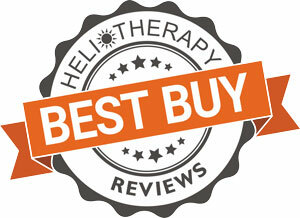 For the budget conscious among you, this is a great choice of lamp and earns our best buy award.